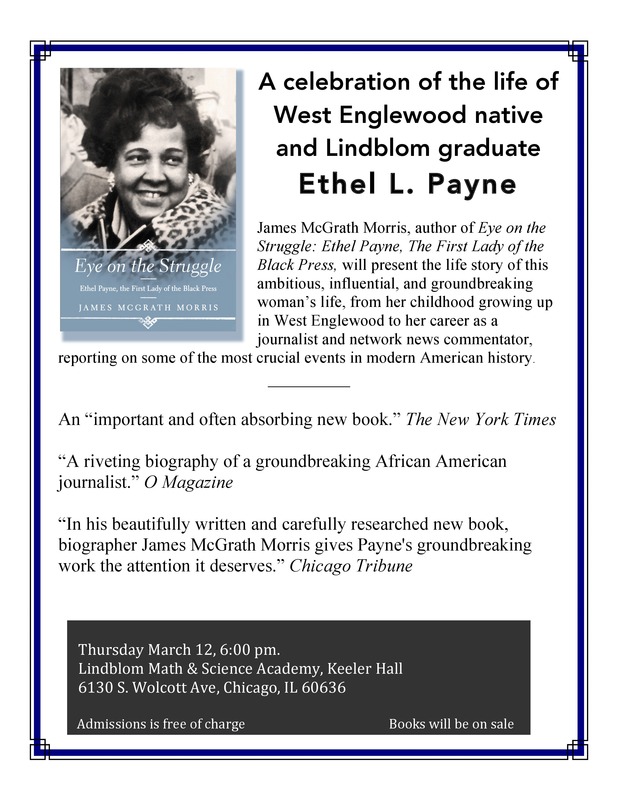 Trailblazing journalist Ethel Payne will be remembered on Thursday evening, March 12, when author James McGrath Morris, discusses his critically acclaimed biography, “Eye on the Struggle,” at Lindblom Math and Science Academy in West Englewood. Payne is a Lindblom alumna. 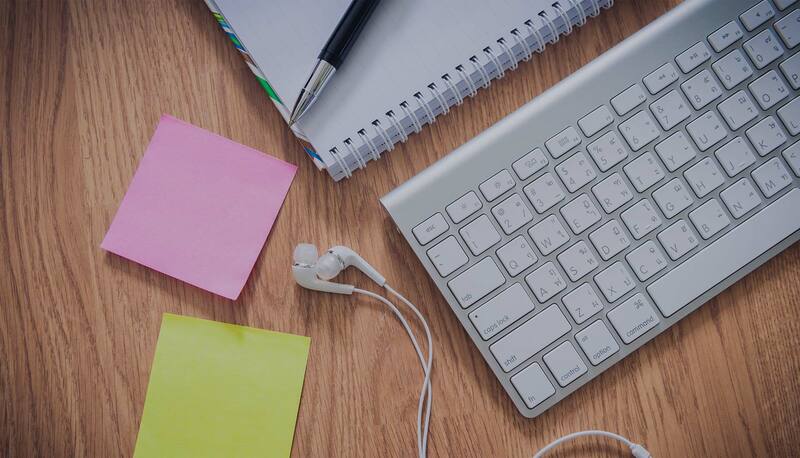 For event details, click here. 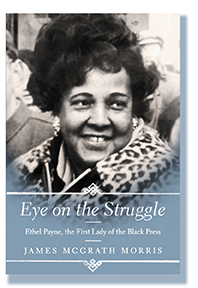 Payne began her journalism career at the Chicago Defender in the early 1950s and soon became the paper’s one-person Washington D.C bureau. 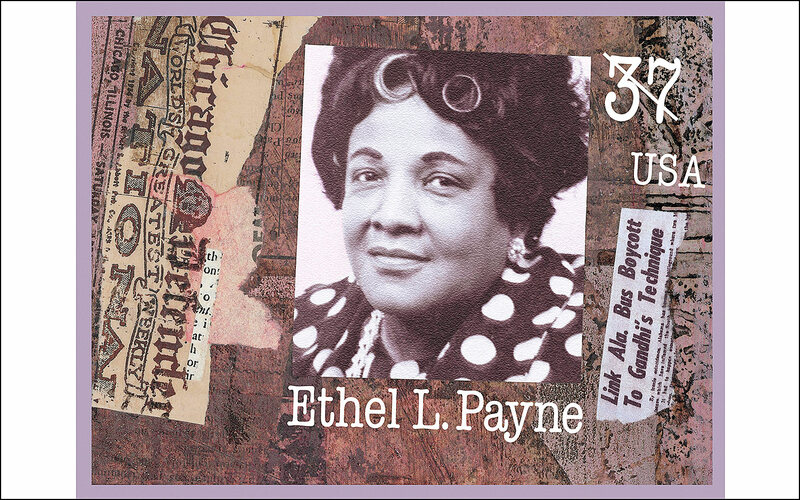 During her career, she covered national stories, including several key events in the civil rights movement the Montgomery Bus Boycott, the 1956 desegregation of the University of Alabama, as well as the 1963 March on Washington. She also covered international stories, including the first large-scale Asian-African or Afro-Asian conference—the 1956 Bandung conference—in Indonesia and the 1975 International Women’s Year Conference in Mexico City. The following year, she accompanied Secretary of State Henry Kissinger on a six-nation tour of Africa. Payne earned a reputation as an aggressive journalist, once asking President Dwight D. Eisenhower when he planned to ban segregation in interstate travel. When he angrily responded that he refused to support special interests, civil rights issues were thrust into the forefront of national debate. Payne also was a war correspondent. She traveled to Vietnam in 1966 to cover African-American troops; she also covered the Nigerian civil war. In 1972, she became the first African-American woman radio and television commentator on a national network, appearing on CBS’s program Spectrum from 1972 to 1978, and Matters of Opinion until 1982. 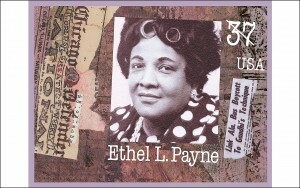 Payne was one of four journalists honored with a U.S postage stamp in a “Women in Journalism” set in 2002. She died of a heart attack at her Washington, D.C. home on May 28, 1991 at the age of 79.